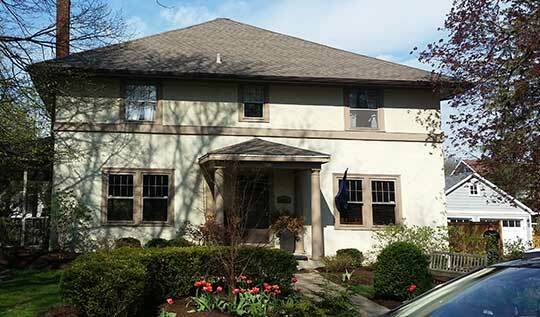 We offer commercial roof replacement services for clients in the greater Chicago area. Allied Roofing Services provides commercial roof replacement services in and around the Chicagoland area for buildings including schools, warehouses, manufacturers, retail businesses, commercial rental properties, office buildings, restaurants, storage facilities and more. Sometimes it is necessary to replace a roof in its entirety and re-roof a commercial building. This can be accomplished with a tear-off or a roof covering. Because commercial buildings often stand at considerable height, many commercial buildings can be particularly vulnerable to the elements. This is to be taken into account, especially in a windy city such as Chicago. When you contact Allied Roofing Services, we will review the scope of your project in-depth and work with you to provide you with the best roof replacement options for your budget and facility. Many old commercial roofs have outdated materials. When a commercial roof needs replacement, it is a smart idea to consider replacing the roof with materials that incorporate energy-saving technology. Allied Roofing Services can work with products such as ENERGY STAR® qualified roof products to replace your commercial roof. This can save you money in the long run and can improve the value of the commercial, institutional or industrial building. Energy saving roof products can significantly lower surface temperatures. Our team is experienced in replacing roofs using energy-saving shingles and flat roof materials. As a Better Business Bureau accredited business, we have demonstrated consistent commitment to quality and service in regard to working with our commercial clients. When your commercial project needs a roofer to get the job done right, Allied Roofing Services is here to help. Our team provides top-notch roof tear-off services and recovering services. Whether we’re working with flat roofs, high-slope roofs or decorative roofs, we apply our expertise and quality workmanship to every job. With our extensive knowledge of many architectural styles, we are prepared to work on any commercial roof replacement project.